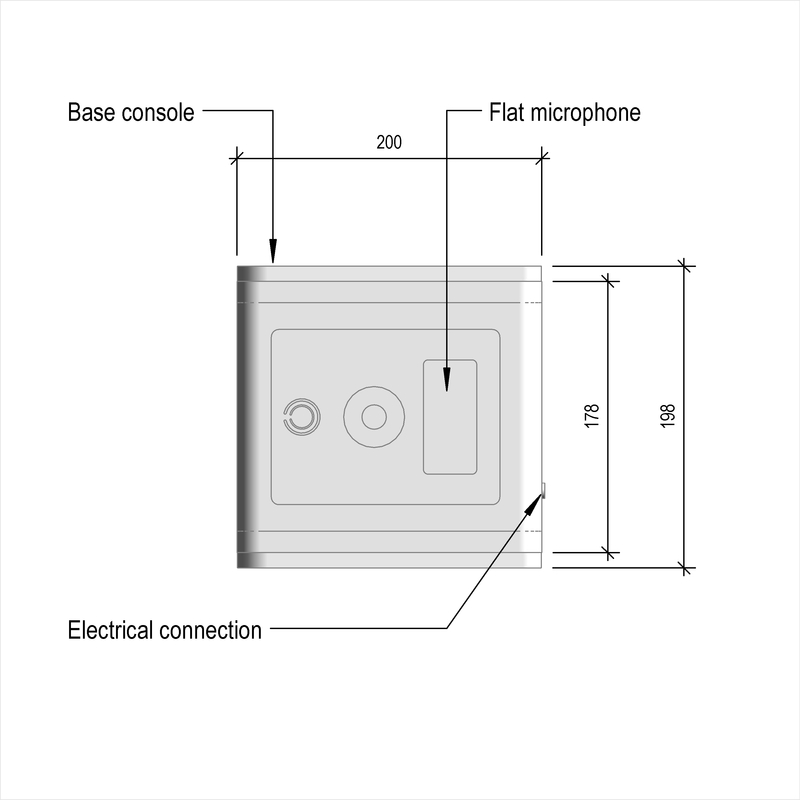 Paging consoles are described by characteristics such as number of zones, zoning and press to talk button. 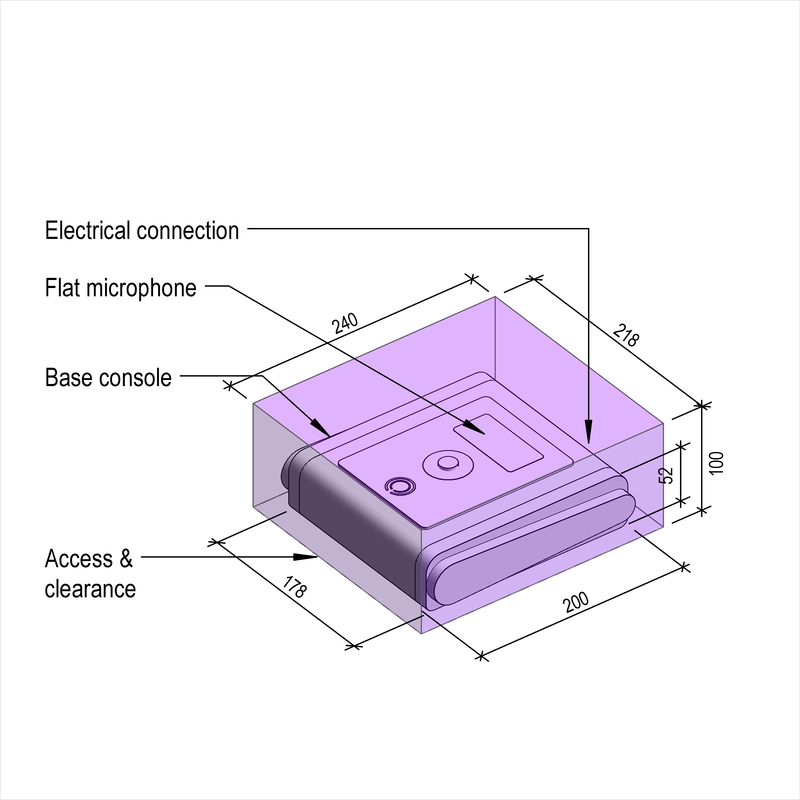 An example use may be within a public address system. Complete this electronic spreadsheet to ensure that your Paging consoles product information meets the requirements of Level 2 BIM. This is important as it will enable your customers to select, specify and use your products within the BIM environment. Once you have completed this template you can host it on your own website or distribute it to your customers. Please note that we do not host completed product data templates within the BIM Toolkit. 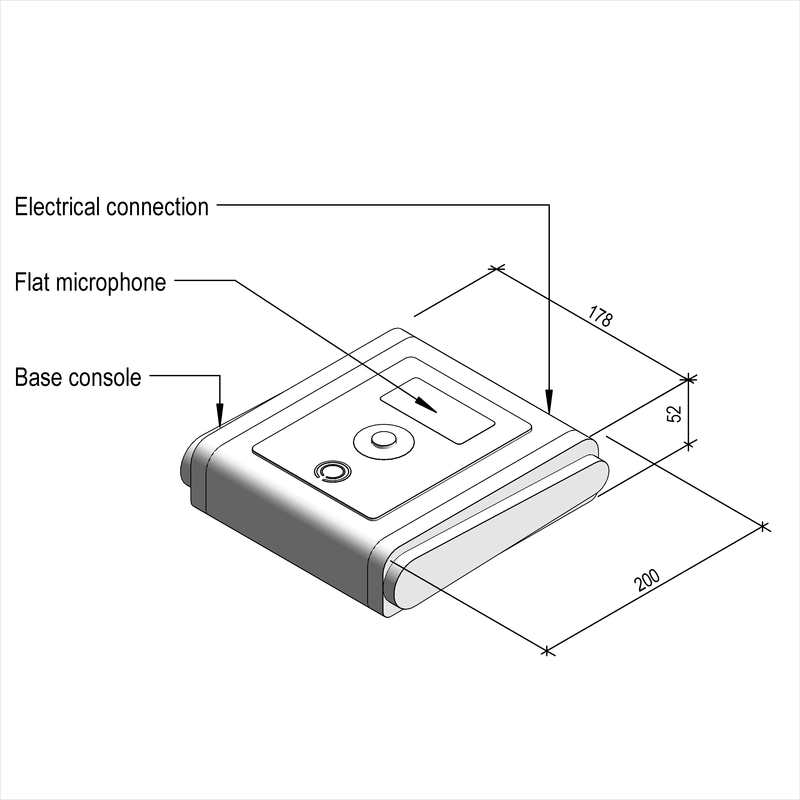 The above illustrations are for Voice alarm emergency microphones from the NBS section Audio and video products. This is indicative of the LOD requirements for Paging consoles. Manufacturer The Manufacturer of the Paging consoles. Number of zones An example value being One. Zoning - Selection An example value being All zone, multiple zones and individual zone selection. Zoning - Zone identification An example value being Engraved. Zoning - Individual zone selection An example value being Light emitting diode (LED). Press to talk button An example value being Required. In use indicator An example value being Required. 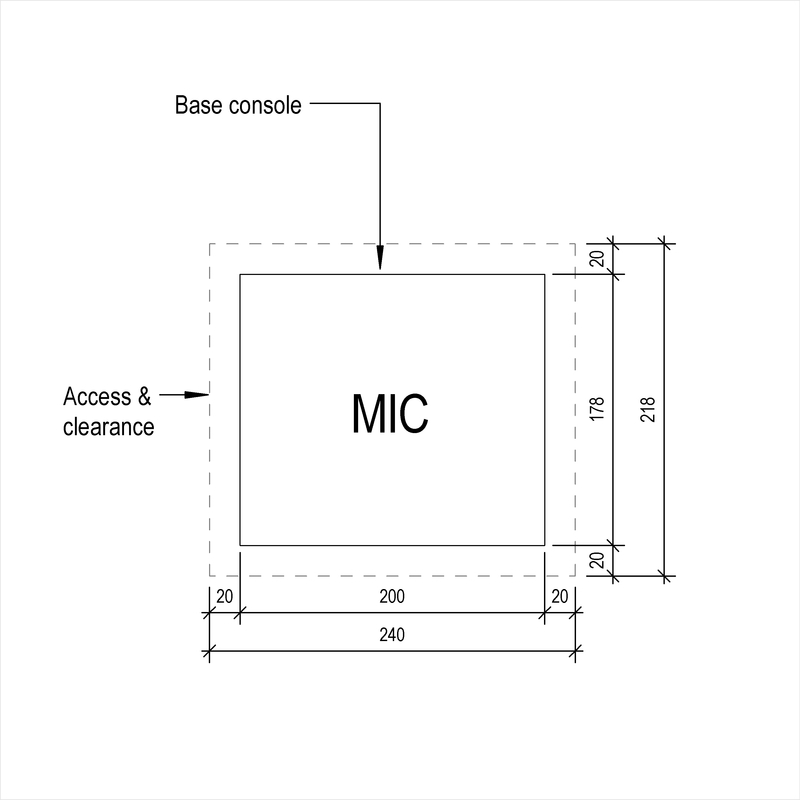 Microphone - Element An example value being Dynamic. 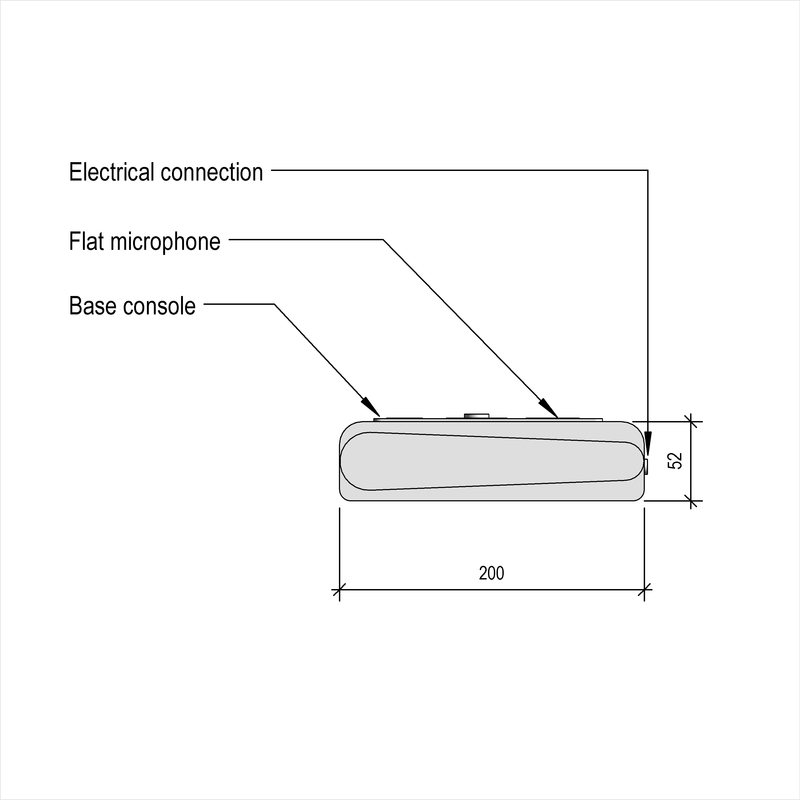 Microphone - Polar pattern An example value being Omni-directional. Microphone - Frequency response An example value being Match system parameters. 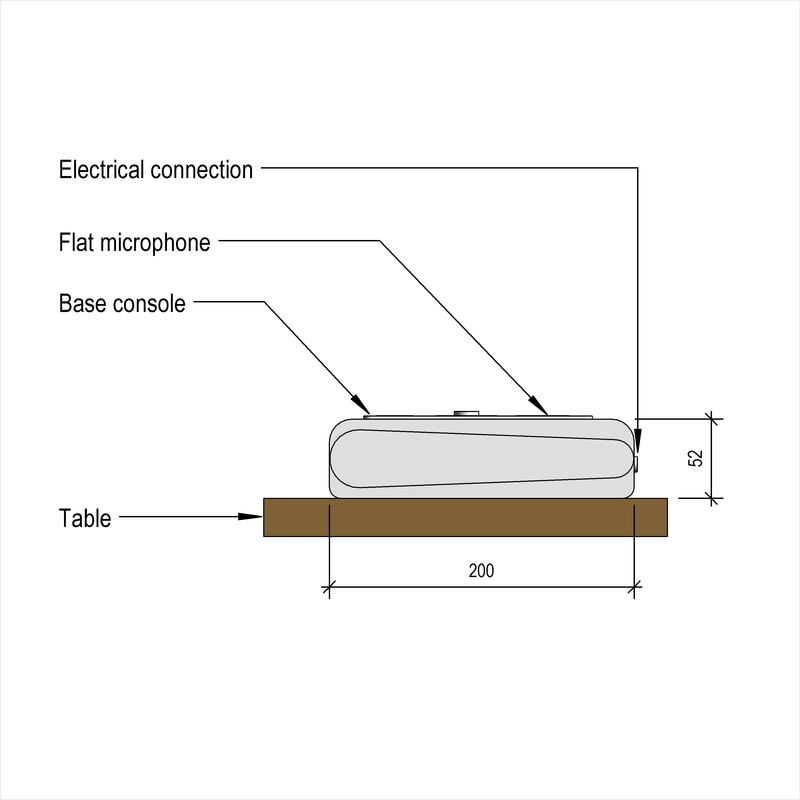 Microphone - Mounting An example value being Fixed. Volume control An example value being Required. Chime - Operation An example value being Automatic. Chime - Type An example value being One tone. 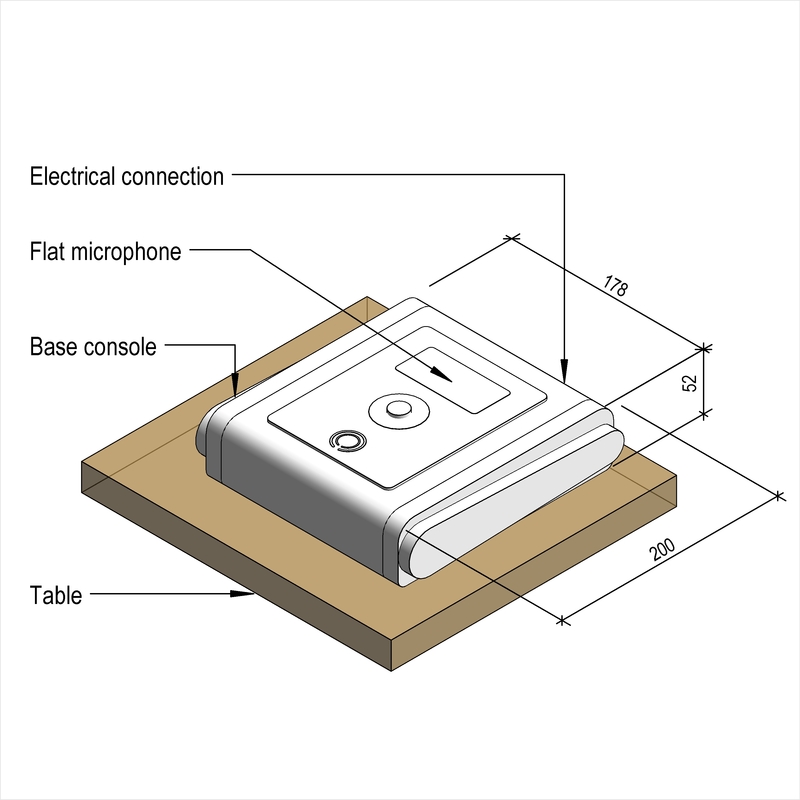 Indication for chime and speech modes An example value being Light emitting diode (LED). Enclosure - Finish An example value being Black. 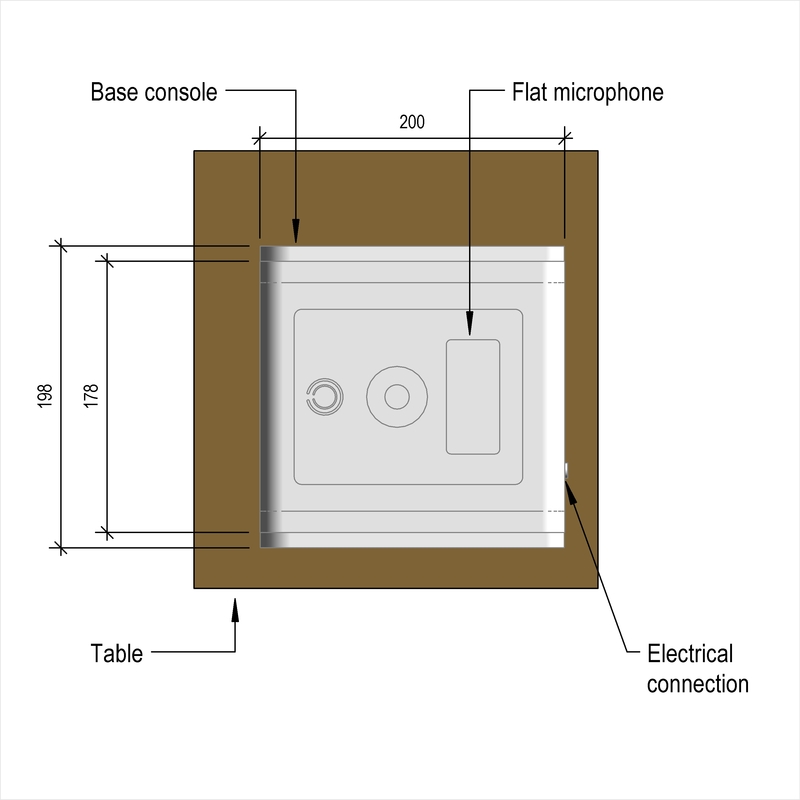 Enclosure - Mounting An example value being Desk.